The new Emoji 11.0 set is fixed and final, and includes the data needed for vendors to begin working on their emoji fonts and code ahead of the release of Unicode 11.0, scheduled for June 2018. The new emoji typically start showing up on mobile phones in August or September. The new emoji are listed in Emoji Recently Added v11.0, with sample images. These images are just samples: vendors for mobile phones, PCs, and web platforms will typically use images that fit their overall emoji designs. In particular, the Emoji Ordering v11.0 chart shows how the new emoji sort compared to the others, with new emoji marked with rounded-rectangles. The other Emoji Charts for Version 11.0 have been updated to show the emoji. The version number for this release of Unicode emoji is jumping from the previously-released Emoji 5.0 to Emoji 11.0 (instead of 6.0) — starting with this release, the version number for emoji is synchronized with the corresponding version number of the Unicode Standard. To be considered for emoji 12.0, new emoji proposals must be submitted before the end of March 2018. 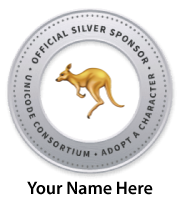 This schedule is to align with the 2019 release of the Unicode Standard. The 157 new emoji will soon be available for adoption to help the Unicode Consortium’s work on digitally disadvantaged languages.